This post is an update of an earlier post made in November 2009. In the original post only 3 goat towers were included and the present post includes 3 more. It may sound strange but few towers exist around the World, built specially for the goats to climb up and down the narrow sloping ramp. The purpose of these towers appears to be mainly advertisement and also to keep the goats active and happy. Goats are very curious and climb up to precarious/dizzying heights with ease and without losing their balance. They can tackle narrow ledges with exceptionally coordinated sense of height. 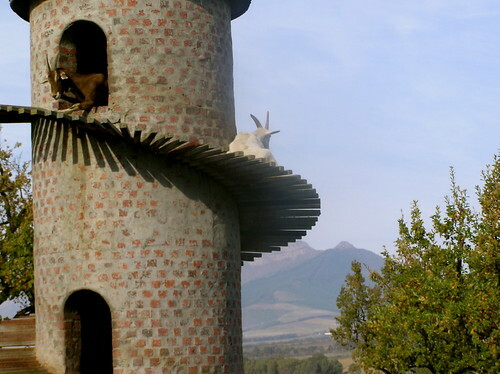 This is the first known, original Goat Tower. 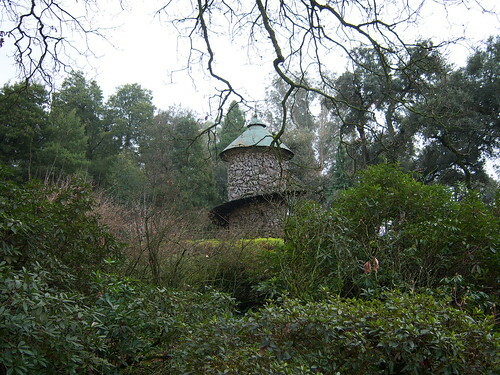 It was built as a garden folly in late nineteenth century by Fernando Guedes da Silva da Fonseca at the Quinta da Aveleda estate, Aveleda, Penafiel, Portugal. 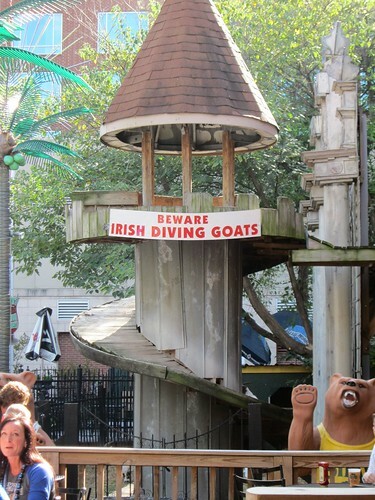 This is the most famous and probably the second Goat Tower. Reportedly Fairview Farm's owner Charles Back was inspired by the Quinta da Aveleda, Portugal. In the early 1980’s decided to build a landmark for his estate. Completed in 1981 tower has since become a logo/trademark of their products and visitors to the farm rarely leave without a snapshot of the tower and its resident goats. 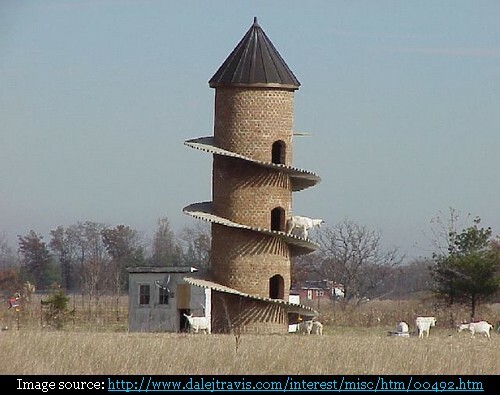 The idea for this Goat Tower came to the owner of the goat farm David Johnson after he read about the Fairview Goat Tower in some magazine and he decided to make a similar tower at his estate farm. Built in 1998 it is locally known as the "Tower of Baaa" and is reportedly highest of the three towers with a height of 9.5 metres and diameter of about 2.1 metres. 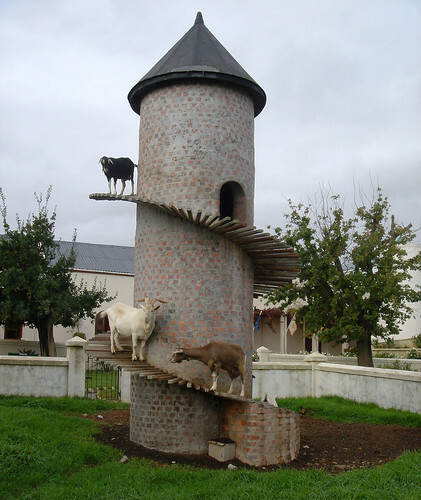 Its 276 spiral shaped concrete steps allow the goats to climb up and down with ease, passing each other on the ramp. Like other towers here also, besides keeping the goats busy and happy, the tower serves as an advertisement for the restaurant which is located at the goat farm. This is smallest of all the Goat towers and is located in the outdoor seating area in back of the main building. Reportedly the USP of the bar is the beer drinking goats which are kept in a pen there.